Given that it features multiple characters heading off into space like it’s the most casual thing in the world, “Fort Rozz” doesn’t exactly feel like a cost-cutting episode. But it’s not too hard to spot the fact that virtually every scene in this episode takes place indoors on either a pre-existing or easy-to-build set. Most network TV shows have to do smaller-scale episodes like this one from time to time (again, I realize it’s a little strange to call an episode about two spaceships getting sucked into a blue star “smaller-scale,” but it is by Supergirl standards). At their best, these lower-cost episodes provide restrictions that can spark creativity for the show’s writers. At their worst, they’re just kind of boring. “Fort Rozz” splits the difference, offering an episode with a ton of strong moments that don’t fully cohere into a greater whole. But, man oh man, does it have a fun premise. Or maybe I should say “woman oh woman.” Hoping to gather intel on Reign, Kara decides to visit the imprisoned Kryptonian priestess Jindah Kol Rozz (Sarah Douglas a.k.a. Ursa from Superman II), the criminal who gave Fort Rozz its name. 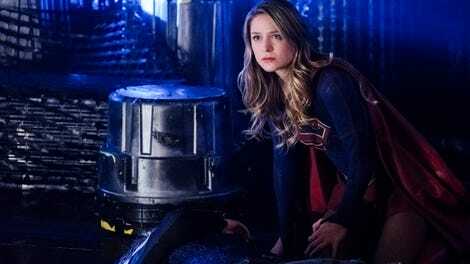 After Kara hurled the prison ship into space in the first season finale, it wound up orbiting a blue star that’s fatal to anyone with a Y chromosome. And since the lack of a yellow sun in the near vicinity will leave her powerless there, Kara has to assemble a crew of powerful women to back her up. Since Alex is out for the count with a broken leg, Kara brings along Imra, a heroic space captain who’s a natural fit for the mission. 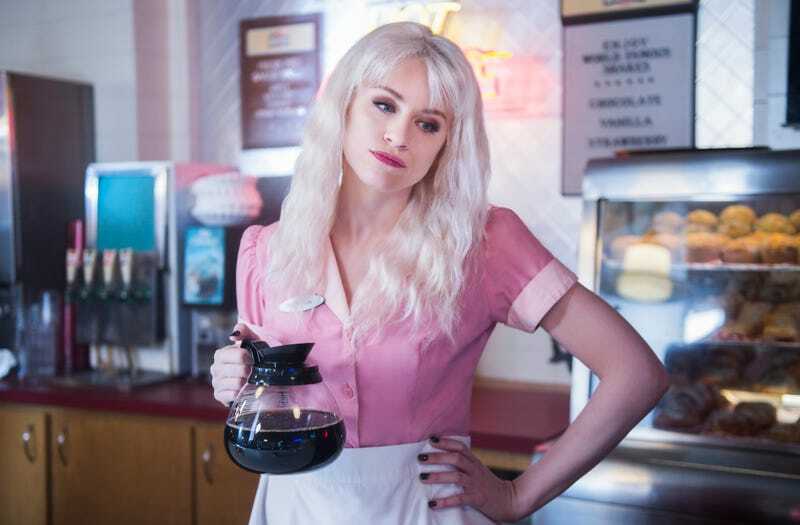 And she also recruits less natural allies in her longtime nemesis Livewire (Brit Morgan) and her newer enemy Psi (Yael Grobglas). The first thing “Fort Rozz” does right is give Livewire and Psi a compelling motivation for joining the mission. Since Reign is currently in the process of killing all of National City’s criminals, Livewire and Psi are as invested in stopping her as Kara is. And that makes both their willingness to help and Kara’s willingness to trust them a whole lot more believable. But while the episode has fun letting Psi and Livewire snipe at anything and everything around them (most notably, each other), it keeps things a bit too surface level when it comes to its characters. The central theme of the episode is Kara’s inherent belief in redemption. She strives to see the goodness in everyone and she believes that even a former villain like Livewire has the potential to be reform. That’s why Kara doesn’t want to kill Reign, she wants to steer Reign’s desire for justice in a less murderous direction. And though Kara fails to do that here, her belief in redemption is validated when Livewire sacrifices herself to ensure Supergirl lives to fight another day. Even Psi steps up to the plate when she has to, proving that Kara wasn’t wrong to trust her. All those idea work really well on paper but less well in practice, mostly because “Fort Rozz” gets too caught up in the not-that-interesting minutia of its mission and doesn’t offer the emotional depth this kind of episode seems tailor made to deliver. For instance, though having them work together on a high-stakes mission seems like the perfect time to deepen the complex relationship between Kara and Imra, the two barely spend any time together. Instead there are a bunch of scenes of characters walking around generically spooky hallways plus a weird moment in which Psi (maybe accidentally, maybe not?) uses her powers on Imra, which feels like it should be important later but isn’t. There are parts of Livewire’s arc that do genuinely work, but “Fort Rozz” ultimately winds up feeling like a roundabout way to introduce the concept of Reign’s Worldkiller compatriots, Purity and Pestilence. Still, even if some of the execution is a little wonky, there’s no denying how cool it is to see an episode that’s as overtly female-centric as this one is—which is rare not only for the superhero genre, but for TV as a whole. Just as stellar writing can make up for shoddy special effects or cool action scenes can help sell so-so plotting, the bold, female-centric storytelling of “Fort Rozz” is inherently compelling to watch, despite some of the episode’s other weaknesses. There are eight central female characters in this episode, as well as a few smaller speaking roles that go to women as well. In addition to Kara’s mission, Alex gets some bonding time with Ruby that involves all the usual girlie stuff: Eating junk food, talking about feelings, and using the power of the federal government to strike fear into the heart of a middle school bully. It’s a B-plot that takes up more time than it should, but the scene of Alex intimidating a pre-teen is so hilarious that it almost makes up for it. And the episode doesn’t forget about its men either. Winn, Brainy, and J’onn offer logistical support from the DEO while Mon-El gets a heart-to-heart with Kara on the DEO Balcony Of Deep Thoughts. In other words, “Fort Rozz” gender swaps the usual dynamics of a live action superhero story and offers both male and female viewers a chance to experience how the other half lives—or at least how the other half experiences onscreen superhero representation. That fact might not make up for the episode’s artistic missteps, but it does give “Fort Rozz” a different kind of value. It’s always fun to see Supergirl call back to its past every now and again. In addition to the return of Fort Rozz, Winn mentions he used to fix Livewire’s computer back when he was a CatCo tech guy and she was shock jock Leslie Willis. Even Kara’s ability to fight without her powers calls back to her early training sessions with Alex. The moment Sam realizes she’s been losing chunks of time is genuinely terrifying, as is the moment she briefly regains control of her body after Psi attacks Reign. Both have me intrigued to see where this Sam/Reign arc is headed, as does the fact that Sam reaches out to Alex for help, which is the sort of logical thing comic book characters so rarely do. Supergirl has made somewhat of an effort to add more women of color to its cast (Odette Annable has Colombian and Cuban heritage and Krys Marshall, who will play Purity, is black), but this episode really highlights how much the show places white women at the center of its female empowerment message. Who names a prison after one of its prisoners? Or was Fort Rozz named after Jindah Kol before she turned evil? Imra’s powers are very ill-defined.